Pearl is the most uptight up the Crystal Gems. 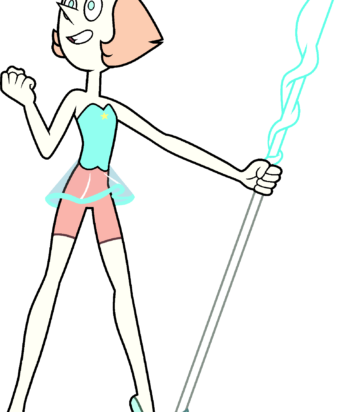 She has taken on the role of Steven’s mother figure after the death of Rose Quartz, Pearl’s ex. She has a strained relationship with Steven’s dad Greg after Rose fell in love with him and left Pearl.